Should the Reds call the Marlins about their outfielders? The Miami Marlins are open for business. After paying an insane $1.2B to buy the Miami Marlins, the new ownership group came in and started trying to find ways to immediately cut payroll as well as find more investors in the team. Over On Friday night and Saturday morning they made their first big move, trading Giancarlo Stanton to the New York Yankees. They reportedly still need to cut some payroll. The Cincinnati Reds have more than a few needs. They need a shortstop, and they need a center fielder. They need pitching. The Marlins donÃ¢â‚¬â„¢t exactly have much pitching. The Marlins donÃ¢â‚¬â„¢t seem to have a shortstop worth looking into. What the Marlins do have is more outfielders. Both Christian Yelich and Marcell Ozuna are All-Star caliber players. Go read the entire piece, as Doug analyzes precisely what it might take for the Reds to land a player such as Yelich or Ozuno. (a) Should the Reds call the Marlins about their outfielders? (b) What should the Reds be willing to give up in a trade for one of these? 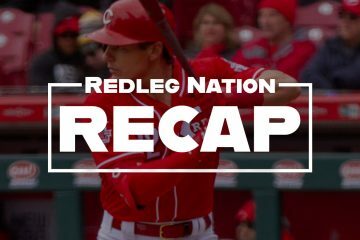 UPDATE: As Steve notes in the comments below, one of his proposed offseason trades for the Reds was Billy Hamilton and Raisel Iglesias for Christian Yelich. That trade probably represents good value for both clubs. The Reds ended up with Marlon Byrd in 2015. Sigh. My only issue with ur proposal is it does not cut payroll for the Marlins which seems to be one of their motivators. You’re right about that. I wrote the post a while ago, before it was clear the Marlins were simply interested in shedding payroll. Reds would have to offer younger, cheaper players. Maybe eventually Marlins get around to building a serious team and want a closer. Iglesias fits their market and frugality. Or we could pay for some salary for both Iglesias and Hamilton. I would pay a lot of it if the marlins would accept this deal. (A)Yes, yes a million times yes! The Marlins are looking to shed salary, so they will want young, cheap prospects. Jose Siri and Bob Steve are probably a good start, but the Marlins are not going to take players like Duvall or Hamilton. No, not good value for the Marlins. At all. Not when other teams’ interest are considered. When this original offer was published here, 80% (at least) of commenters below the line wrote that it was not enough for the Marlins to seriously consider. It is even moreso not good value for Miami, now that it is believed that the new owners heavily leveraged themselves to finance buying the team and shedding payroll for an extended period. Think the Cardinals might be able to offer more than 2 years cost control of negative WAR offense Hamilton and Iglesias? Especially now, after showing off their checkbook from being in the Stanton sweepstakes, and raising fans’ expectations? Derek Jeter really will have a steep learning curve if those 2 Reds are all the value he can extract for Yelich. They should have called already. The Reds have plenty of combinations of young talent they could offer for Yelich, but their wait-and-see approach will cost them. I look for the Cardinals to get him. The Reds need a couple of quality hitters in the outfield to go with Jesse Winker. The trio of Duvall, Hamilton and Schebler will collectively give you around a .250 average or below and an OBP below .300. 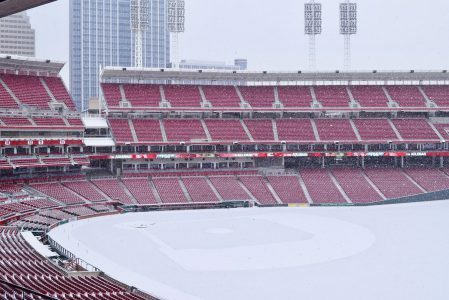 It seems to me the Reds are always waiting for teams to come to them and see what is offered for their trade pieces, rather than going aggressively after players that would help them put a contending team on the field. This approach will usually, not always, result in getting mediocre players in return. The Reds FO should be calling the 29 other front offices with discussions on deals. The rebuild has gone on long enough with some success in acquiring good prospects. But prospects are, in large measure, just prospects. 2018 should not be cast as another rebuild year. 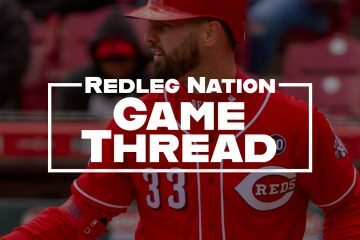 It’s time to do some wheeling and dealing to get the Reds out of second gear and aiming towards contention in the NL Central. Yes. Yelich and Ozuna should both be part of DW’s proactive discussions. Most of the Reds prospects should be on the table here, though not all. I wouldn’t listen on Winker, Senzel, Greene, Castillo or Mahle. But DW should be trying to include Duvall and/or Hamilton for multiple reasons. Those have been enumerated elsewhere so I won’t repeat. I’ll say Duvall, Romano and Peralta (or Iglesias) for Yelich. Or Hamilton and Peralta (or Iglesias) for Ozuna. Yes please. His name has been mentioned many times on RLN. He’s Hamilton Lite (or maybe Billy is Bradley Lite). There are so many better CF options than Bradley. I’d rather see Duvall, Schebler, Winker with Hamilton as a spot starter, defensive replacement, and pinch running specialist than install Bradley in center full time. Of course I’d also rather see Yelich or Ozuna or Inciarte in CF every day. Put me down as a no thanks on the Bradley option. In my opinion the reason to get Yelich is the hope of having a lineup with Yelich, Winker, Senzel, Suarez and Votto in some order 1-5. Assuming Schebler or Duvall as the other OF, Barnhardt/Mesoraco at C and Peraza at SS (or upgrade SS with a separate trade) and that is a lineup you could contend with in 2018 and beyond. With any kind of luck (health and development of young pitchers) the pitching staff can also be respectable starting in 2018. With that said I would make Winker, Senzel, Suarez and Castillo untouchable. Start your trade offer with Trammel and a pitcher from the Stephenson/Mahle/Garrett/Romano/Reed group. If they insist on Greene I wouldn’t say no. We must get a solid 3+war player in CF in place this winter: 1. Yelich 2. Kiermier 3. Inciarte 4. Bradley Jr. 5. ? If that’s takes a 3 team deal we need to get it done Cin-SF-Mia, for example. Who does Miami like in SF farm system and trade Hamilton and Duvall to SF and swap those guys over with another or two of ours to Miami for Yelich or TB for Kiermier or Atl for Inciarte. Trading for fill in’s I don’t think is going to get us to where we need to be. GM’s are buying whole heartedly into analytics and it’s going to be harder to put together a winning team in Cincinnati. So any trade needs to result in ++ value players at the positions we need to fill CF and SS. Billy, Tyler Mahle, Taylor Trammell, and one of Vlad Gutierrez or Tony Santillan for Yelich.